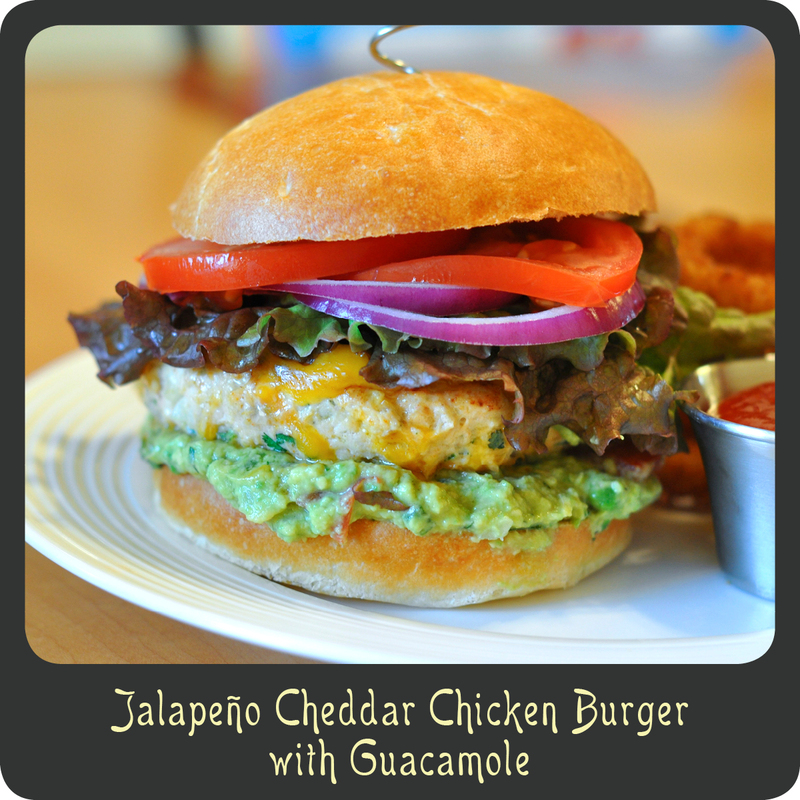 This chicken burger is the love child of Mexican and American cuisine. It is delicious. Or should I say was delicious, because my husband and I each devoured ours. The entire thing. This had to be the most flavor packed chicken burger I have ever had. Usually when I think of turkey or chicken burgers I think of dry flavorless patties. Not the case with these bad boys! These jalapeño cheddar chicken burgers were incredibly moist and definitely not short on flavor. If you are looking for a way to spruce up the average burger, or even to cut some calories give these burgers a try. They are definitely unique and unlike any chicken burger you have probably ever had before, the perfect burger to enjoy with a refreshing Corona on a warm summer day. Ahhhhhh yeaaahhhhh. That’s what I’m talking about. Note: These can definitely be cooked on the barbeque. I used my skillet because ground chicken tends to stick easily due to the low fat content. Combine ground chicken, onion, cilantro, garlic, jalapeño, cumin, paprika, cheddar, salt, and pepper in a bowl. Using your hands mix everything together. Form the mixture into 2–4 patties depending on the size you want. Add the patties and cook for 5–7 minutes per side or until cooked through. While the patties are cooking toast the buns in the oven or 4–5 minutes.